So delicate and elegant, inspired by the beauty of a butterfly wing and Art Deco jewellery. 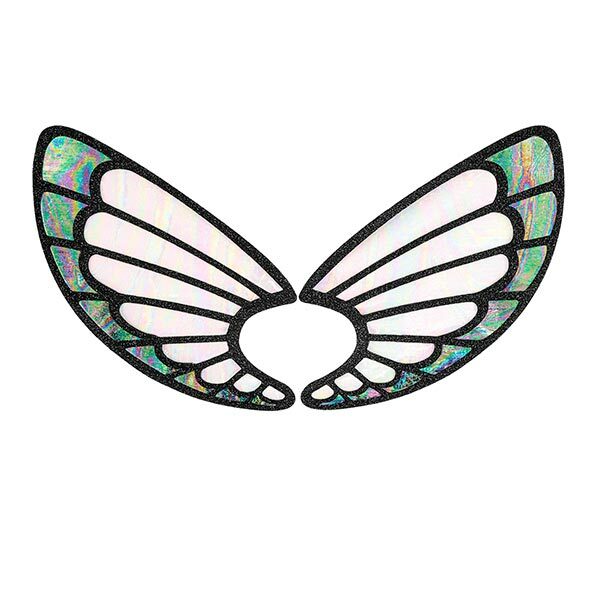 Made with our pearly, petrol-effect vinyl that is opalescent and translucent, just like a thin butterfly wing. They are very light but stay in place well, due to the adhesive edge near the eye. The idea for this design came from a photo shoot Phyllis did with Kryolan, watch out for it. High voltage eyeliner design inspired by comic “Kapows” & lightning bolts; this makes it spectacular in daylight & clubs.